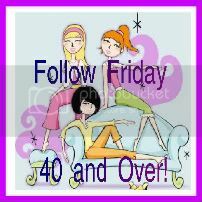 Hi Java: Thank you for hosting once again your Follow Friday 40&Over! Love yours. I meet so many people I don't know yet! I really have a lot of fun. Coffee & new friends. What can go together better! Have a great weekend. Geeze, I'm late getting mine done! Had the day from hell! Argh...go ahead and read about it! I'll be catching up on reading all the links! Happy weekend!